Marilyn has been covering technology for business, government, and consumer audiences for over 20 years. Prior to joining UBM, Marilyn worked for nine years as editorial director at TechTarget Inc., where she launched six Websites for IT managers and administrators supporting enterprise Windows platforms and technologies. Take our new flash poll and tells us if the current political climate is making you rethink disaster recovery and business continuity planning. Here’s what topped the Dark Reading page-view charts from the security industry’s brightest minds, coolest rock stars, and up-and-coming leaders. Gaze into the crystal balls of a panel of forward-thinking security experts during Dark Reading’s virtual event Nov. 15. Join us for a wide-ranging discussion with (ISC)² Chief Exec David Shearer on the most worrisome infosec trends and challenges. Even if you can't physically be at Black Hat USA 2016, Dark Reading offers a virtual alternative to engage with presenters about hot show topics and trends. Kudos to the Dark Reading community for strengthening the security industry with all its passion and opinions. Packet sniffing, drones and cat memes. And the winning caption is…. INCYMI! Join us for a fascinating discussion on key trends and opportunities in the rapidly evolving world of cybersecurity. Intense 90-day program mentors budding entrepreneurs in the finer points of developing a viable technology business for the real world of information security. Take part in our brand new cartoon caption contest. Join the fun and maybe you'll win a prize. Don’t miss this inside look by a trio of experts from industry and law enforcement during Dark Reading's virtual event, Cybersecurity: The Business View. Now available On-Demand. As cyberattacks grow and evolve, so too has the role of the chief information security officer. Fascinating discussion on key trends and challenges. Black Hat Europe keynoter Haroon Meer tells security pros to work smarter, think out of the box, and speak out to the C-suite. Government, industry and security professionals problem-solve the daunting challenges of the Internet of Things. There are lots of reasons why medical data is so vulnerable but the sheer numbers at risk speak volumes about the scale of the problem. World famous defender of hackers, privacy, and civil liberties exhorts attendees to preserve the dream of an open Internet. Is there a future for the venerable firewall? Security CEOs Asaf Cidon of Sookasa and Jody Brazil of FireMon debate the issues in our latest radio show. The traditional corporate network perimeter is not dead, but its amorphous shape is something new and indescribable. By 2022, demand for security industry professionals will grow 37%. As potential threats mount, Dark Reading community members home in on patching infrastructure but not devices, according to our latest poll. Not surprisingly, our latest poll confirms that threats stemming from criminals hacking humans are all too frequently ignored. How can we get more security baked into applications? Join us for a discussion today, Wednesday, September 24, at 1:00 p.m. New York, 10 a.m. San Francisco time. Fewer than one percent of more than 800 Dark Reading community members are ready for the fast approaching security onslaught of the IoT. Only one out of four respondents to our flash poll think the CSO should report to the CIO. From fingerprints to wearable ECG monitors, there are real options in the market that may relegate the despised password to the dustbin of history. If you can't physically be at Black Hat USA 2014, Dark Reading offers a virtual alternative where you can engage with presenters and attendees about hot show topics and trends. Dark Reading's latest community poll shows a stunning lack of confidence in chief execs' commitment to cyber security. Why does the CISO report to the CIO? Join us for a panel discussion. Showtime is today, Wednesday, 1:00 p.m., New York, 10 a.m., San Francisco. Our latest poll reflects members’ concerns over how to stay on top of the latest attack trends, defenses, and technologies. 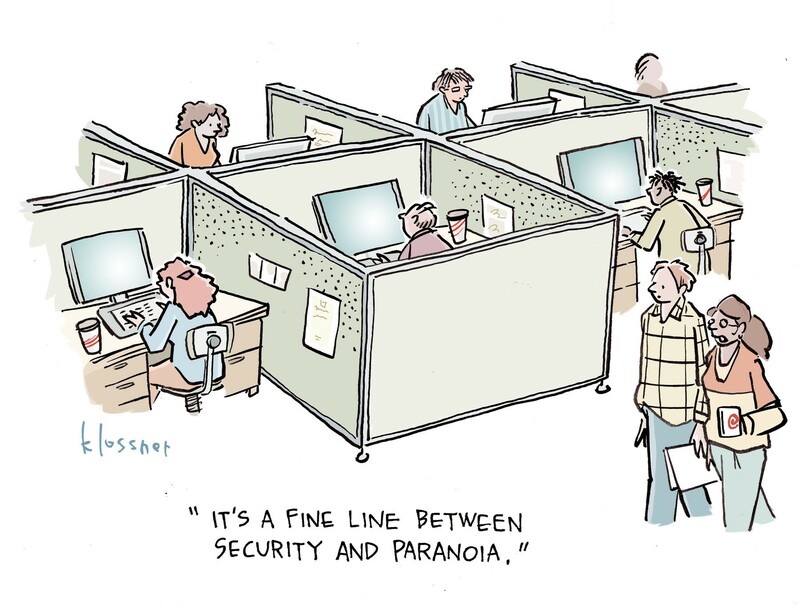 How would you describe the posture of your company’s current security team and hiring practices? Take our new poll. Roughly 60 percent of respondents to our flash poll have installed the Heartbeat fix or are in the process of doing so. What steps do you plan to take in response to the Heartbleed bug? Take our poll and share your reasons in the comments. A secret handshake means you are part of a shared experience. That's what the Dark Reading community is all about. Where is your organization in the battle over mobile device management and security? We enjoyed all the laughs on the road to choosing the winner of our first cartoon caption contest. Check out the funniest entries. Take home the gold in our brand new cartoon caption contest by following these simple rules: Be funnier and enter more. As smartphone adoption continues at an unrelenting pace, the issues surrounding BYOD will become an even more challenging mobile security management issue.